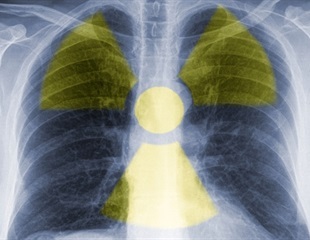 In the featured translational article in the August issue of The Journal of Nuclear Medicine, researchers at the University of Michigan demonstrate the potential of a new PET tracer, Carbon-11 labeled sarcosine (11C-sarcosine), for imaging prostate cancer, and set the stage for its possible use in monitoring other cancers. The study compared the effectiveness of the new tracer with 11C-choline (already widely used for imaging prostate cancer) in two mouse models and also performed the first PET/CT scan with 11C-sarcosine of a human with prostate cancer. According to the Centers for Disease Control and Prevention (CDC), prostate cancer is the second most deadly cancer among men. Sarcosine plays an important role in its aggressiveness and progression. Sarcosine enters cells via proton-coupled amino acid transporters (PAT), which are overexpressed in selected tissues and solid tumors -- making it an excellent imaging target. "Given the link between 11C-sarcosine cell uptake and PAT transport, the study provides first evidence that PAT expression can be elevated in prostate cancer," explains Morand Piert, MD, professor of radiology, Division of Nuclear Medicine at the University of Michigan, Ann Arbor, Michigan. Study results showed that in preclinical models tumor-to-background ratios obtained from 11C-sarcosine PET were significantly elevated compared to 11C-choline. 11C-sarcosine also produced high-contrast images in a human prostate cancer case. Independent target metabolite analyses revealed significant increases of sarcosine, glycine and choline tissue levels from benign prostate tissue to localized prostate cancer and subsequently metastatic disease. The data suggest that 11C-sarcosine is a viable tracer for prostate cancer imaging, with potential benefits over 11C-choline. Piert notes that 11C-sarcosine could also be an important tracer for identifying and characterizing other cancers. He explains, "To our knowledge, this is the first radiotracer to interrogate the activity of PATs, which play a role as multi-purpose carriers with distinct roles in different cells. In the brain, these transporters are involved in the neuronal amino acid transport. In the intestinal tract, certain PATs play a role as nutrient and drug transporter." Piert adds, "Furthermore, PAT expression increases with cell proliferation. In cancer, PAT function has been related to the amino acid-sensing engine that drives activation of the mammalian target of rapamycin complex 1 (mTORC1), which is an important target for existing and new anti-cancer drugs." While further studies are needed for clinical validation, he says, "Based on the known metabolism of sarcosine in cancer, we postulate that elevated 11C-sarcosine uptake is a negative prognostic marker and may potentially be useful to monitor mTORC1-targeted cancer treatments."